**Attention Investors! 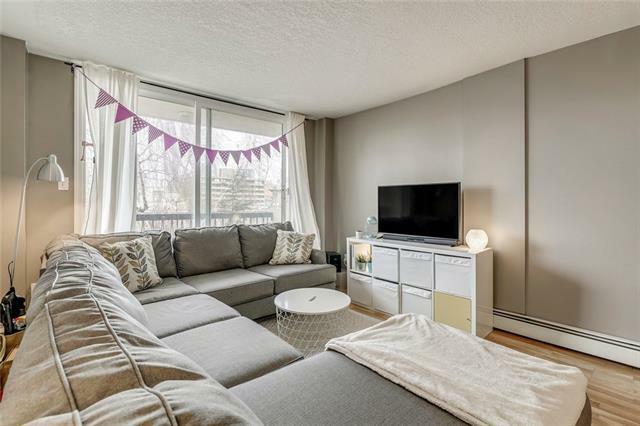 ** **Pet Friendly** Why pay rent when you can own this cozy unit in the heart of one of the trendiest districts in Calgary? 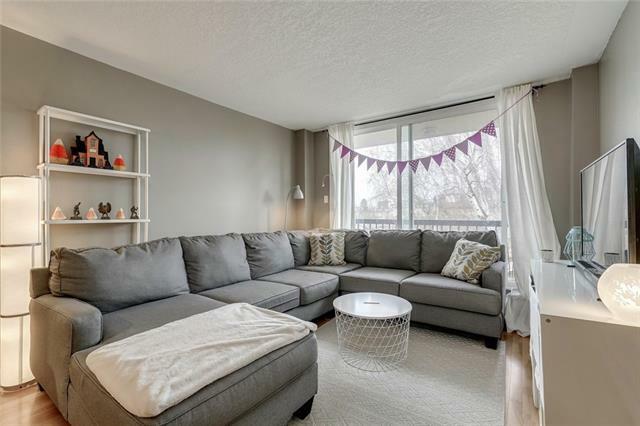 Cameron Heights is a quiet, concrete building located steps away from Calgary's most iconic street - 17th avenue. 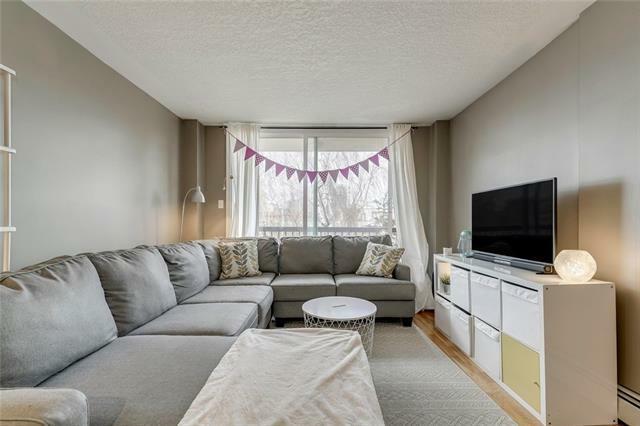 The location is unbeatable, just steps away from the restaurants, shopping and cafe's of 17th Avenue and a short walk to the Downtown Core and Transit. 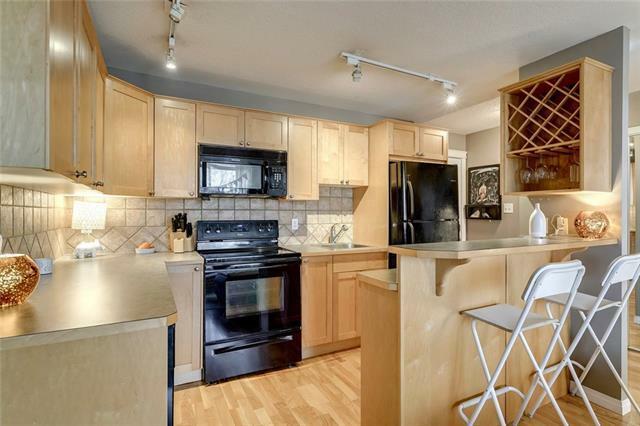 This sleek, stylish, open plan 1 bed/1 bath unit with low condo fees is sure to impress! Large windows in the living room allow a flood of natural light into the unit. Walk out onto the balcony to enjoy your Downtown view. Lots of storage in the open-concept kitchen, complete with functional raised breakfast bar. This unit comes with one parking stall and a storage locker! Low entry price and condo fees mean lots of revenue potential for investors. Perfect for someone that wants to be within walking distance to everything.